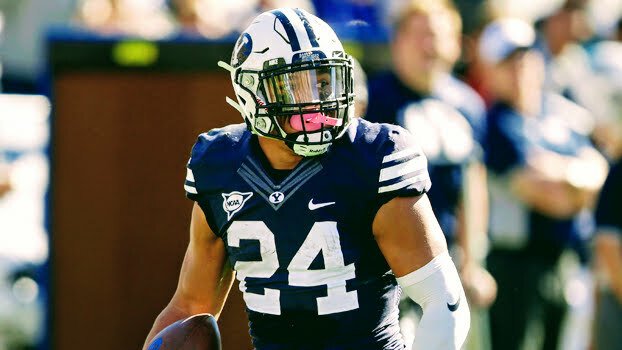 A Salt Lake City, Utah native, Brown went on to star at BYU, amassing 1,310 yards and 13 touchdowns on 259 carries (5.06 ypc), and catching 35 balls for 285 yards and 3 touchdowns for the Cougars. A power runner with good receiving skills out of the backfield, Brown was asked to switch to fullback his senior season to block for Packers RB Jamaal Williams, adding another element to his game. Brown’s versatility and athleticism has attracted substantial interest from NFL clubs looking to maximize his tantalizing talent. As an undrafted free agent in 2017, Brown already has stints with the New York Jets and Seattle Seahawks. Brown will participate in The Spring League’s 2018 season, and will surely catch the attention of scouts in attendance.